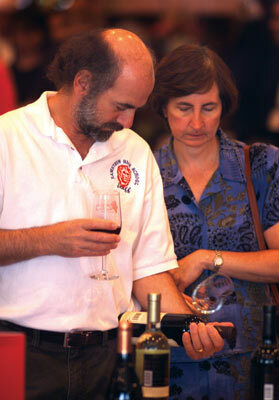 The 9th annual Okinapa Wine Festival next weekend is another sellout event. Sponsored by Marine Corps Community Services and the Butler Officers Club, the annual wine extravaganza is bringing dozens of the most tantalizing wines in international vendors’ inventory to Okinawa. The two-day event, September 9th and 10th, is again sold out. Organizers note, though, that those not fortunate enough to have tickets will still be able to purchase the wines through AAFES. 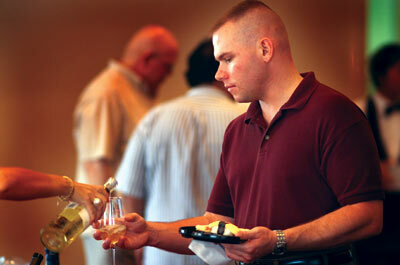 The AAFES wine market will spotlight the showcased wines. Prices range from as little as $5 to more than $50 per bottle. AAFES says buyers can get a 10% discount on a mixed case of 12 bottles. The Okinapa Wine Festival is both a wines and culinary event, where MCCS’s top chefs take gastronomical delights well beyond traditional fruits and cheeses. This year they’re preparing sushi to accompany the Riesling wines, while several pasta stations will provide spicy concoctions that blend well with a merlot or pinot noir. On the patio, chefs will be working the outdoor grill with gyoza and crab cakes with a remoulade dressing. Even the desserts are special, with heads spinning over fondue, cakes and tartlets. And for those looking for the spectacular photo opportunity, check out the ice sculptures painstakingly carved by Chefs Takaesu Tomoaki, Ganeko Masakazu, Luc Linzen, Ueda Isamu and Heather Neary. They’ve transformed numerous 300-pound chunks of ice into sea creatures, wine bottles and even an Okinawa logo.